This past week has been a story of snow, snow and more snow. Not that we've had feet of the white stuff but just a steady fall, then a slight thaw and then more over the last couple of days. So we have a white garden and the hills around are white but the roads are passable and there hasn't been too much inconvenience. It could have been a lot worse. I've learnt not to venture out in it though, having slipped over on ice in the bad winter of 2010/2011, I'm not keen to repeat the experience, so I mainly stayed in and read, so I have a couple of books to do quick reviews of. I'll start with this one, Serving Victoria by Kate Hubbard. Anyway, this was a fascinating book. Hearing about Victoria's life from the point of view of people who knew her better than anyone was rivetting. It sounds like it might be a cushy job, living and working at court but of course it was not (and probably still isn't). The Queen was demanding, there were petty rivalries and jealousies, and people like Henry Ponsonby, who basically ran the royal household - I forget his offical title - was sometimes worked to total exhaustion and ended up being hospitalised in order to recover. So much to say about this book that it's impossible in a brief review, to say it all. 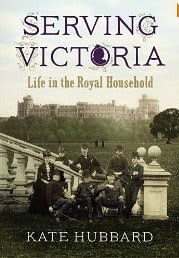 If you have any interest at all in Queen Victoria's reign this is a *must read*. It's not a quick read, I took over a week to work my way through it, but it is an extremely rewarding read and well worth the effort. 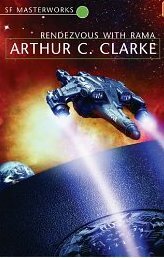 My second book could not be more different - I like to ring the changes - it's the classic science fiction story, Rendezvous with Rama by Arthur C. Clarke. It's 2131 and the Solar system is now a confederation of planets. Mars, Mercury and various moons, including our own have been colonised. A computer known as SPACEGUARD is logging asteroids and their threat to the human race when its radar locates something rather different. It turns out to be a massive cylindrical object, not an asteroid, and has clearly been made by another intelligence. Humans name the spacecraft, 'Rama', and the spaceship, Endeavour, is sent to investigate. Its captain is Commander Norton who has two wives, one on Earth and one on Mars (things are very different in the future, LOL). The commander and his second-in-command enter what is clearly a space-ship, but having absolutely no idea what they will find inside. The interior is huge, about 40km in length 7km wide, and in complete darkness. In order to get to the 'surface' (this is complicated) they have to climb down a staircase which is miles long. The logistics of this place are almost mind boggling but this is the first time humans have had any contact whatsoever with alien intelligence and it must be investigated. It's thought the craft is merely passing through the Solar system, but what if it's not? What if there is another agenda altogether? Time is short and these questions need to be answered. I feel like I may have read this book before, or rather, like I *should* have read it, but I'm not entirely sure. It felt fresh and new but bits seemed familiar. It doesn't matter. This is one of those odd books where not a huge amount happens. It's not pacey and hugely plot-driven, in fact it's quite casual as it tells you all about physics and how alien civilisations might differ from ours and how they might solve the problem of travelling through space. It sounds like it might it might be rather dry but in fact it's not at all. The physics was quite understandable, though I did struggle with the concept of a sea that went right around a cylinder and didn't fall down. But Clarke makes it clear that that's ok, because the characters in the book are also struggling with this, and many other concepts, in the book. This not a character-driven book. You don't get to know anyone that intimately. The book is really all about the alien spacecraft; I would even say that 'Rama' is the main character in the book. That might seem very odd but it works wonderfully. There's a reason why some of these older sci fi books are called classics and I can easily understand why this one is numbered amongst them. It maintains a sense of awe right the way through, even though you would not call it exciting or even a page-turner. It takes clever writing and a clever writer to achieve that and I can honestly say I absolutely loved this book. I'll be reading more by Arthur C. Clarke. Oddly enough we lived for eight years in the town where he was born, Minehead in Somerset, although he lived most of his life in Sri Lanka. While we were there, there was talk that he wanted to fund some kind of science centre in the town (he didn't die until 2008). Sadly it never happened, I'm not sure why, but it's rather a shame as it's a small town with a large Butlins holiday camp, and really it could do with something else to offer the many tourists that visit the area, not to mention the children who live there. I think he was rather an amazing scientist and writer and would have loved to leave that kind of legacy behind. Part of the reason I signed up for The Southern Literature Reading Challenge, which is being hosted by The Introverted Reader, is because I'd just started I Know Why the Caged Bird Sings by Maya Angelou, and I realised I wanted to read more books in this vein. This challenge would present the perfect opportunity to do just that, not that I couldn't do it off my own bat but it's always good to have an incentive. I'm now really pleased I signed up for it because if Caged Bird is typical of some of the books I might discover then I think I'm in for a real treat. 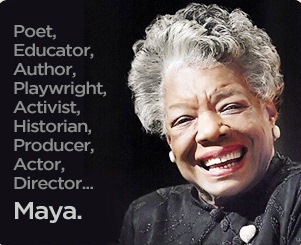 Maya Angelou was born in 1928 in St. Louis, Missouri. 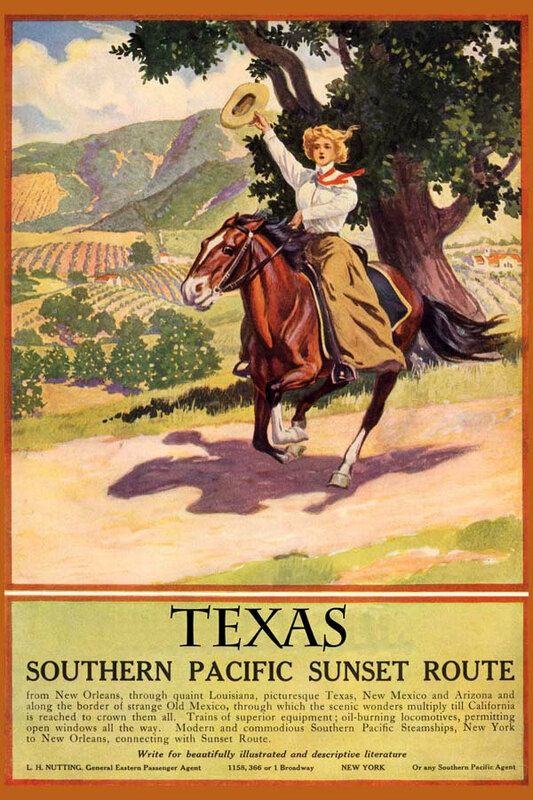 Her parents' marriage fell apart when she was three and her brother, Bailey, four and her father sent her and her brother off to Stamps, Arkansas to live with his mother. Maya's grandmother came to be called 'Momma' by both the children, neither of them able to remember their real mother and father at all as they grew. 'Momma' ran a grocery store in the black area of the town, so although the family were not by any means rich, they were not as poorly off as many of their neighbours whose main employment was cotton picking and who existed at subsistence level. Maya and Bailey are reasonably happy living with their grandmother and Uncle Willie, who is disabled. Bailey is Maya's rock and they face the world together, finding humour in various situations, and trying to understand the difference between them and the white folk. It seems even the poorest of the whites are better than them and it's quite permissable for their children to stand in the store and mock Maya's grandmother and none of them can do anything about it. A few years later - Maya is eight - their father arrives out of the blue. The children soon realise that he's going to take them away with him and they will at last meet their mother, though she does not now live with their father. They live with her for about a year; their stay comes to an abrupt end when something traumatic happens to Maya and she stops speaking. Back they go to their grandmother. Maya will only speak to Bailey - this lasts for years - until a woman called Mrs. Flowers comes into her life and introduces her to poetry and literature. Maya has always been a keen reader but now she has focus in her life and something to retreat into when things get unbearable. The children do eventually return to live with their mother. By then they're teenagers and things are very different. 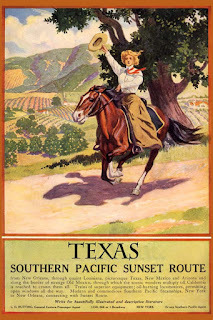 For a start they are now living in San Francisco and although blacks are still second class citizens, there is in California a lot more room for manouevre than there was in Stamps, Arkansas. I suppose the first thing to admit is that as a white person, this book made me feel very uncomfortable. I know this was the 1930s and things were very different back then, but injustice is injustice and just because it was eighty years ago doesn't mean I was able to think, 'It's history, it doesn't matter any more'. Several episodes stick in my memory. The white kids mocking 'Momma' and Maya feeling completely helpless; the awful thing that happened to Maya, which I won't into as I don't want to spoil it for other readers; what happened when Maya needed dental work; the Graduation when Maya was twelve and a white dignitary made a speech basically telling these black kids that it didn't matter how well they did at school, all they were good for for waiting table or being servants in white people's houses or, if they were really lucky, they might become sports stars. A lot of it made me feel quite murderous to be honest. The other thing that sticks in my mind is Maya herself. Her determination not to be cowed by the circumstances of her childhood, her strength, her dignity, her belief that she was as good as anyone else whether her skin was black, white or something inbetween. She became the first black person ever to be a streetcar conductor in San Francisco for instance. They didn't want to employ her but she kept at them and eventually they hired her. I love that kind of bloodyminded persistance, to my mind it's the only way to bring change about and I admire her so much for that. The book ends when Maya is fifteen or sixteen. I'm not going to say what life-changing thing has happened, you'll have to read the book... though I suspect most people already have. There are five autobiographical volumes altogether - or maybe six - and I hope to get to all of them this year. This is the only one I'll use for this challenge though as I want to vary what I read for it. I will however be adding this to my own 'Read around America' personal challenge. I said I wouldn't do this. I definitely said I would not do this! I said would not do any challenges this year apart from Carl's. And then I signed up for What's in a Name. 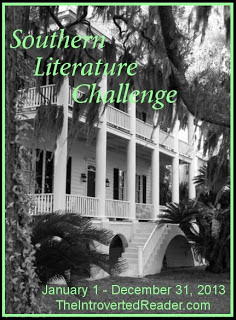 Now I'm signing up for the The Southern Literature Reading challenge which is being hosted by The Introverted Reader. Why? Well, I scanned the books I've read for my personal American challenge and observed that I had majored on crime novels. That wasn't the plan originally... I planned to read all kinds of books including non-fiction and classics. I have read a few non-fictions but, as far as can remember, no classics. Not good enough. Could do better. 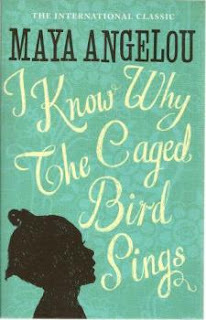 So I need to change that, and I've just started I Know Where the Caged Bird Sings by Maya Angelou in order to put this right. 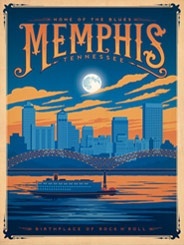 As soon as I saw this new challenge I knew the book I've just started would be perfect for it, but also that the challenge would encourage me to read a lot more non-fiction, set in the southern states of the USA. Level 1--C'mon in the house! Read 1 book. The challenge will run from January 1, 2013 to December 31, 2013. So... in order to challenge myself properly and actually get some books read I'm going to go for Level 4, which is to read 4 books. I think this might be a lot of fun and rather interesting. And if anyone has any particular book recommendations please feel free to leave a comment. 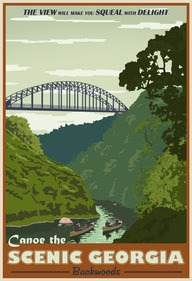 And just because I can, here're a few of my favourite vintage travel posters for several of the states or cities therein. High Rising by Anglea Thirkell is my second book of 2013. You may be wondering what my first book was. Well, it was Rifling Through my Drawers by Clarissa Dickson Wright... a very enjoyable wander through a year in the life of the famous cook and author. It seems she's hardly at home as she does so many public appearances and attends so many county shows. You hear people say sometimes that they think it would nice to be famous. From this book I gathered that being famous is Very Hard Work Indeed and it would not be for me. But a very good book, and I'm pleased to have her autobiography, Spilling the Beans on my current library pile. It's Christmas and Laura and Tony are heading to the cottage for the school holidays. It's a place where they feel comfortable, know all their neighbours, and Laura's sectretary, Anne Todd, also lives there with her aging and ailing mother. The first thing Laura discovers, via village gossip, is that a close friend, George Knox, author of history books, has taken on a new secretary, one Miss Grey. No one seems to care for her very much and George's daughter, Sybil, is especially reticent as she lives with them and is apparently subject to violent mood changes. Village talk has it that the secretary also has designs on matrimony with George. People, including Laura, are worried as George is very talkative but also rather oblivious and it's felt that he could find himself married without even realising it. How are his friends going to solve this problem without causing a major upset? What a delightful read this was. I gather it was written in 1933 and that certainly is very apparent. The dialogue is rather Brief Encounterish, with people ennunciating properly, certainly no sloppy speech or slang. It makes a very nice change! 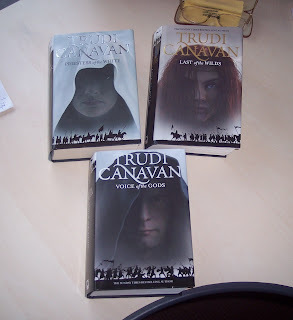 While reading I was put in mind of two series of books, one was Daisy Dalrymple by Carola Dunn, mainly I think because of the dialogue, as Daisy speaks just like the people in High Rsing. The other was books by Miss Read. The reason for that was the village atmosphere - one of well-healed folk living in nice houses, visiting each other frequently, being nosy about other people's affairs but also wanting to be friendly and to ease the burdens of their neighbours. The story itself I thought was extremely enjoyable. The problem of the secretary and what to do about her was huge fun. There was a nice twist at the end which I didn't see coming. But I also found myself very involved in the lives of all of Laura's friends, the romantic aspects... (how nice that this was not just about the young being romantically involved but also the middle aged - another Miss Read parallel)... their day to day lives, problems, illnesses and peculiarities. Lots of humour in this too. Mainly it was based on the natural oddness of people - it's beautifully observed - but also characters such as Stoker, Laura's housekeeper, bring a lot of humour, George Knox who never stops wittering on, and Tony, Laura's son who's obsessed with railways. I also found the addition of Laura's night-time reading material highly amusing. The titles seemed to get more and lurid as the book went on: Death in the Potting Shed, The Hulk of the Hidden Blood, The Bucket of Blood, The Omnibus Book of Blood, Torture and Disease and so on. Hilarious. I have to say that this is a beautiful edition of this book. The cover, to my mind, is stunning. I haven't ordered the next book, Wild Strawberries, yet, but doubtless I will do as that also is gorgeous. The book after that is, I believe, Demon in the House and is about Tony. It's hasn't been republished, the library doesn't have it and it's not all that cheap on Amazon, so whether I'll be getting that one I'm not sure. I rather suspect young Tony could become a bit wearing in a book of his own. I'll think on that. 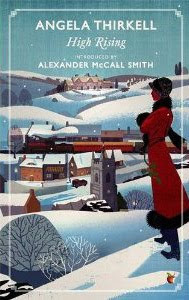 All in all, a thoroughly enjoyable read and I'll certainly be looking for more books by Angela Thirkell. Also, this is my first book for my What's in a Name Challenge being hosted by Beth Fish Reads, and covers the category of 'A book with up or down (or equivalent) in the title'. When my family, bless them, asked what I wanted for Christmas this year, instead of giving them an eclectic list with all kinds of bits on it, I just said, 'Books'. I had a huge clear out of books last year, sent loads to the charity shop, (they wrote and said they'd made nearly £200 from our donations!) plus brought a huge bookcase, that was holding needlework supplies, back into use as an actual holder of books. Thus I was feeling pretty chuffed with myself and decided that it would not actually be a sin to have an all books kind of a Christmas this year. So I handed over book lists for them to choose from, or said which I wanted, and lo and behold my bookish Christmas became a reality. It was glorious! So here're the books I was lucky enough to get this year. 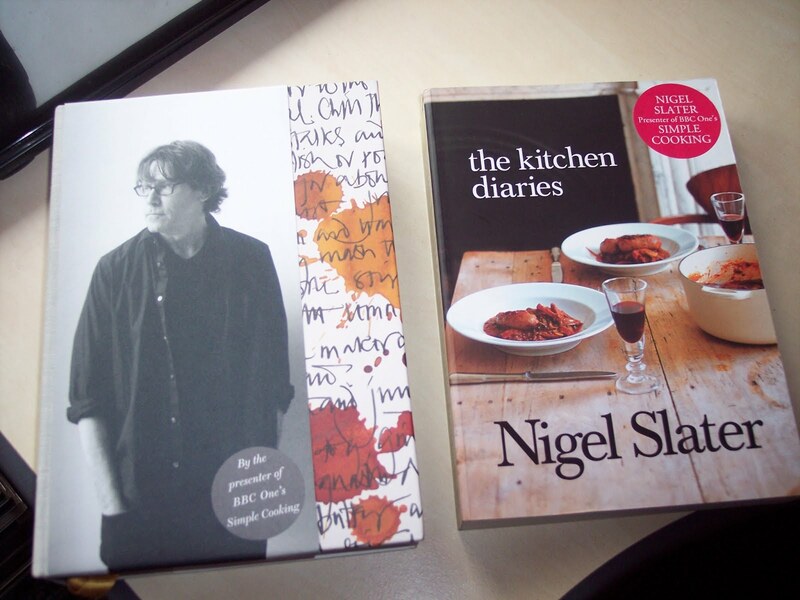 I'm a huge Nigel Slater fan. 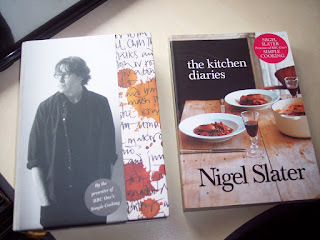 I like many TV cooks and various shows like The Great British Bake Off and all the Masterchef shows, but Nigel Slater is definitely my favourite of all of them. 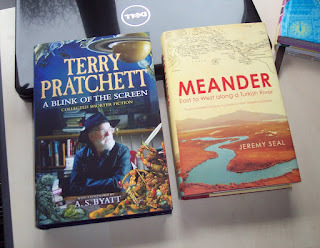 I've been glued to his latest series which aired in the late autumn, right up to Christmas, and have been covetting his new book, Kitchen Diaries II... on the left of this pic. 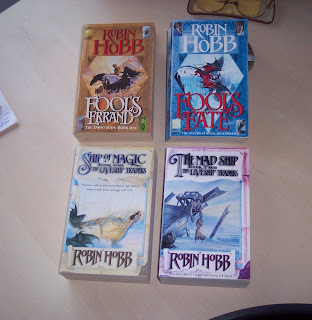 But I don't own the first book, and so my lovely eldest daughter also bought that for me. Was I delighted? Oh, yes. I've been hearing a lot about the fantasy book, Tigana, by Guy Gavriel Kay recently and thought it sounded like my kind of thing so my youngest daughter got that for me. My husband bought me the top two books in this pic, The Letters of Nancy Mitford and Evelyn Waugh, edited by Charlotte Mosley (she did the Deborah Devonshire, Patrick Leigh Fermor book of letters I read in February), and Jack: A Life Like No Other by Geoffrey Perret. I seem to have developed a taste for these kinds of books recently, no idea why. Two beautiful hardbacks. 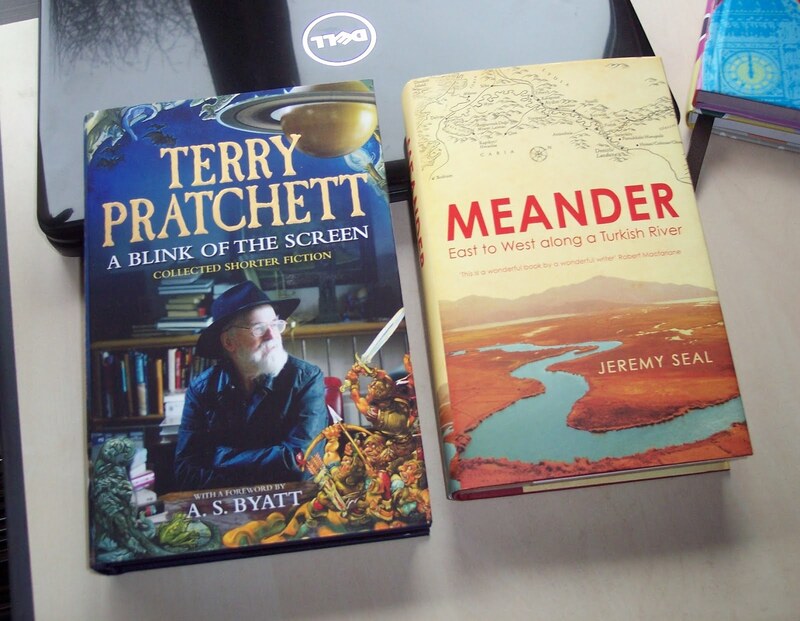 Terry Pratchett's new book, an anthology of short stories, A Blink of the Screen, from my youngest daughter, and Meander: East to West Along a Turkish River by Jeremy Seal... a travel book of course, again from my husband. Two books from lovely friends. 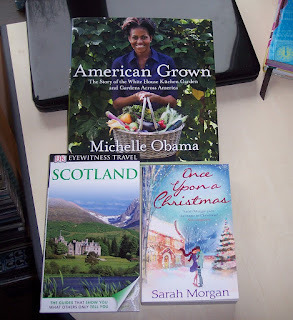 American Grown by Michele Obama, had no idea this existed and was thrilled to get it from a friend in America. And a totally gorgeous book about Scotland from a lovely friend who lives there, as she knows we're planning a holiday in Scotland later in the year. 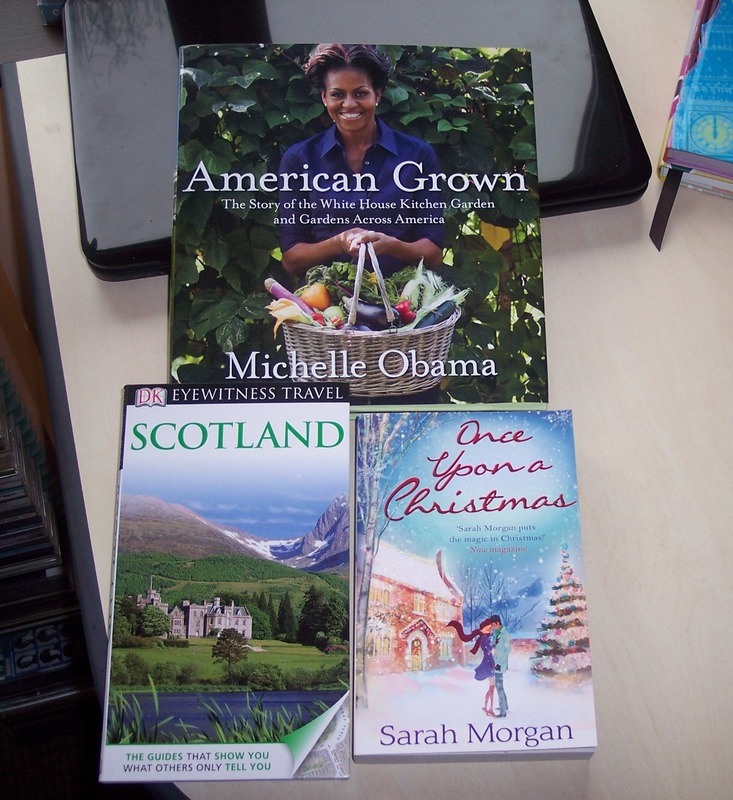 The other book is a book I won in a draw held by Elaine at Random Jottings, Once Upon a Christmas by Sarah Morgan. 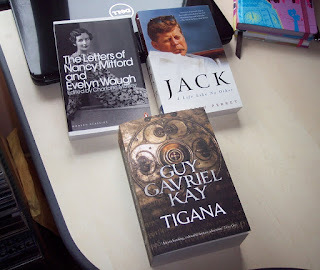 Lastly, I thought I'd also include several books I bought during the month of December. In the top lefthand corner, High Rising by Angela Thirkell, a series recommended by Geranium Cat and Elaine at Random Jottings again, who both pimped it to me on Facebook if I recall. They are so naughty... but nice. I love the cover of this book and it'll be my next read. 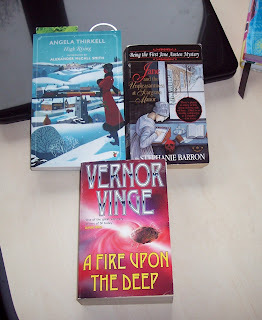 Also pictured, Jane and the Unpleasantness at Scargrave Manor by Stephanie Barron which I nabbed from AM after reading about it somewhere and because I love Jane Austen, and A Fire Upon the Deep by Vernor Vinge a sci fi yarn which I gather is quite good.